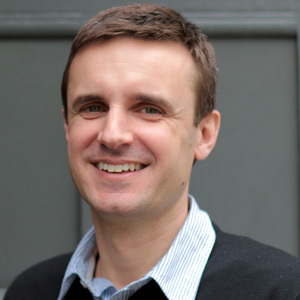 Dr. Bruce Byiers is a development economist with a DPhil from the University of Sussex. Originally from Scotland, he heads the Regional Integration team of the Economic and Agricultural Transformation programme at ECDPM, where he has been working since May 2011. While past work has focused a lot on strategies and policies for private sector development and engagement, his interests and responsibilities increasingly revolve around regional integration processes in Africa, particularly from a political economy perspective. This includes looking at regional organisations, but also at regional economic integration dynamics. Bruce has carried out policy research for ECDPM in many countries in Eastern, Western and Southern Africa. Prior to ECDPM, Bruce worked as a consultant for UNIDO, USAID, World Bank and DANIDA, among others. The focus of his work was mainly on industrial policy, private sector development and tax policy, particularly in Mozambique, Rwanda and Lesotho. Bruce also worked in the Mozambican Ministry of Planning and Development/Finance for five years, partly as an ODI Fellow and subsequently as a consultant and researcher in the Macro-economic Projections Unit of the National Budget Directorate, and the Directorate for Policy Studies and Analysis. As well as English, he is fluent in French, Spanish and Portuguese. CEEAC et CEMAC : Intégration ardue dans une région aux structures complexes. West African cement - Stuck between politics and economics? Donor coordination and transport in West Africa - towards people, partnership and prosperity? Political Economy of Regional Integration in Africa: What drives and constrains regional organisations? What is the EU's added value in supporting the private sector? What is the EU’s added value in supporting the private sector for development? Monitoring the EU-CARIFORUM EPA: Where are We and What are the Next Steps? Regional Integration (part 2) - Ubuntu in a Cui Bono World? L'UE sollicite la participation du secteur privé au développement : Création d'un guichet unique ? EU engagement with the private sector for development: Setting up a one-stop-shop? Employment - it’s what we’ve always wanted! “Wicked hard problems” and isomorphic what? Tobin Tax, Robin Hood Tax – whatever it is, will it work?